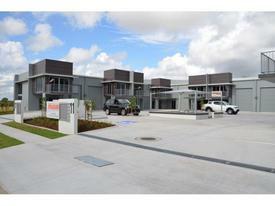 54 Commercial Real Estate & Properties in Caloundra West are listed in 4 categories. We have 51 Industrial Warehouses Sale & Lease , 1 Development LandsSale & Lease , 1 Retail ShopsSale & Lease and 1 Hotels and LeisureSale & Lease . Freestanding Shed With Spray Booth $36,000 P/A + Outg.. Backing onto the Nicklin Way and providing 53 mts of signage opportunity to the thousands of cars that pass daily. A versatile industrial warehouse with many features and much more than meets the eye. Land Area: 3,034m2 Building Area: 1,000m2 Zoning: Medium Impact Industry Large concrete hardstand areas Air conditioned offices and mezzanine storage Multiple high clearance roller door entry points 3 phase power and many other hidden features For Lease: $130,000pa + Outgoings + GST For more information or to arrange an inspection please contact exclusive marketing agents: Len Greedy 0401 691 807 len.greeyd@raywhite.com Alan Gray 0414 894 084 alan.gray@raywhite.com Approx. 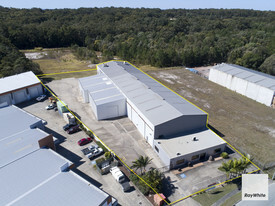 Tilt Panel Unit For Lease $22,560 P/A + Outg..
Quality Industrial Unit Caloundra West $20,640 P/A + Outg..
Caretaker\'s Approved Unit $450 P/W + Outgoin..
Quality Industrial Unit Caloundra West $18,600 P/A + Outg..
Office Plus Storage Caloundra West $12,000 P/A Gross ..
Modern in design tilt slab warehouse is built to the highest standard. It is in close proximity to the Caloundra CBD and easy access to the Bruce Highway. NLA area: 209m2 Warehouse area: 149m2 Mezzanine area: 60m2 Currently Leased Three exclusive car parks (one under cover) 3 phase power Kitchenette, toilet and shower facilities For Sale: $450,000 + GST If Applicable For further information or an inspection contact Exclusive marketing agents: Luca Reynolds 0422 777 074 luca.reynolds@raywhite.com Dave Tyson 0427 146 327 dave.tyson@raywhite.com Approx. 4,670m2 land 2,394m2 building Compromising of 103m2 mezzanine storage, 194m2 office, 1,619m2 warehouse and 478m2 additional warehouse Ample hardstand, fenced 2 tonne overhead crane 3 phase power Multiple roller doors for access, 12m high Situated off Main Arterial Road, Caloundra Road and less than 5 mins to the Bruce Highway and Sunshine Motorway For further information or to arrange an inspection please contact our leasing team. We look forward to hearing from you! A Spacious And Well Maintained Industrial Building $39,600 pa + Outgoings + .. Tilt Panel Unit Warehousing Plus Office $17,040 P/A + Outg..
High Clearance, Open Span Industrial Unit - Caloundra $21,000 pa + Outgoings + .. 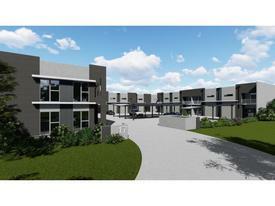 Brand New Development Gateway To Caloundra FROM $150 P/SQM + ..
Specialised Centre Zone $280 P/SQM + Outgo.. Ultimate Man Cave, Storage Or Business Use - Caloundra $265,000 plus GST (if app..